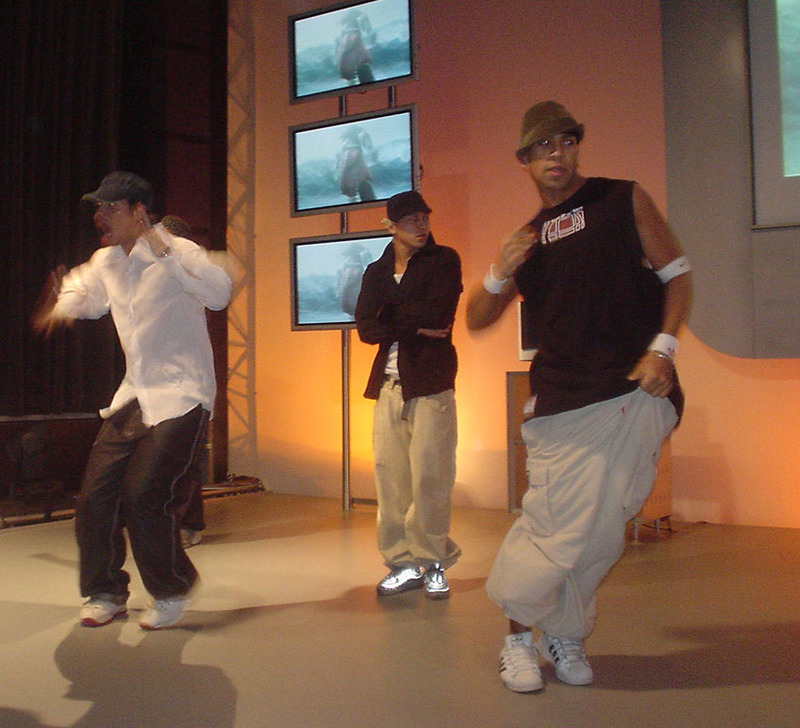 Sony press conference, CeBit 2003 | hip hop, event | clients | Dance Agency A.I.D.A. For the international press conference of the electronics manufacturer Sony at the computer trade fair CeBIT 2003, Sony devised a very special concept to showcase its latest products. 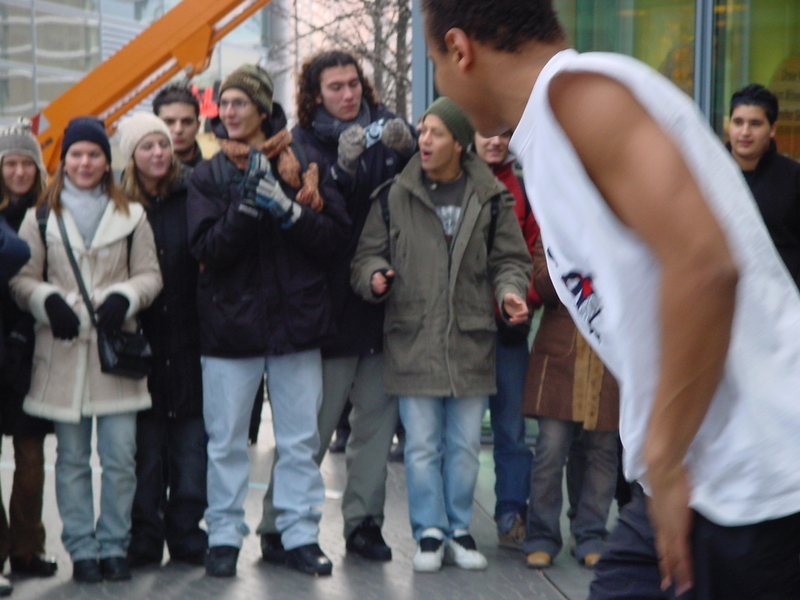 This involved a dance performance in the form of a story in which the products were integrated. Monika Schoepfer took on responsibility for customer consulting and the overall implementation of the dance concept. This included the selection of eight hip hop dancers and a choreographer, the rehearsal planning, the musical accompaniment, the costumes and hair styling, as well as the contract negotiations, placement and the on-site support of the artists.